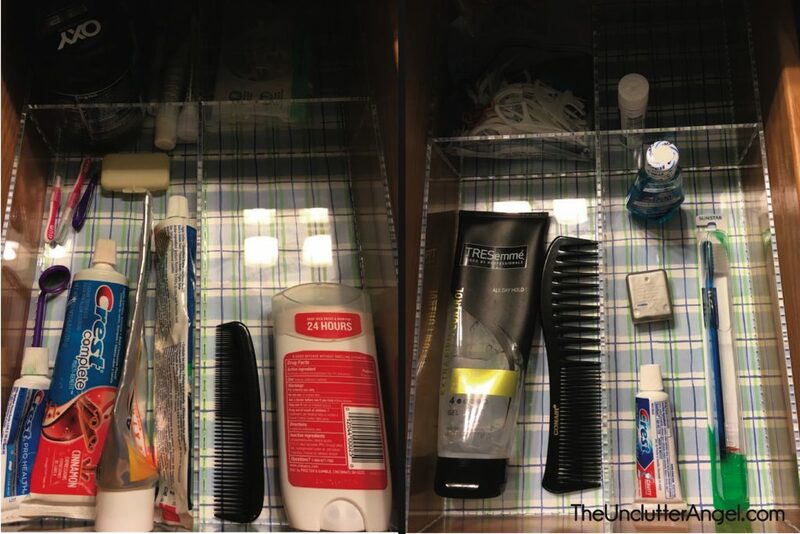 If you are being challenged with sharing limited space, changing the way you organize your drawer’s layout can make a big difference. 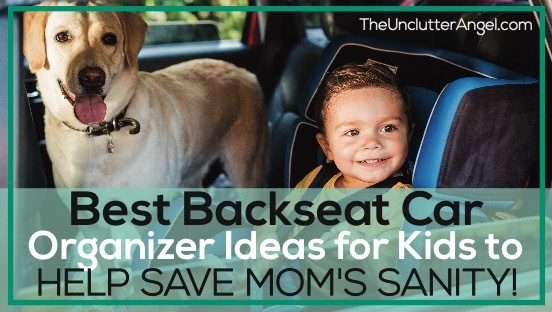 Not everything can be even, but giving each child as much equal space as possible will help them to stay motivated to keep their space cleaned up. 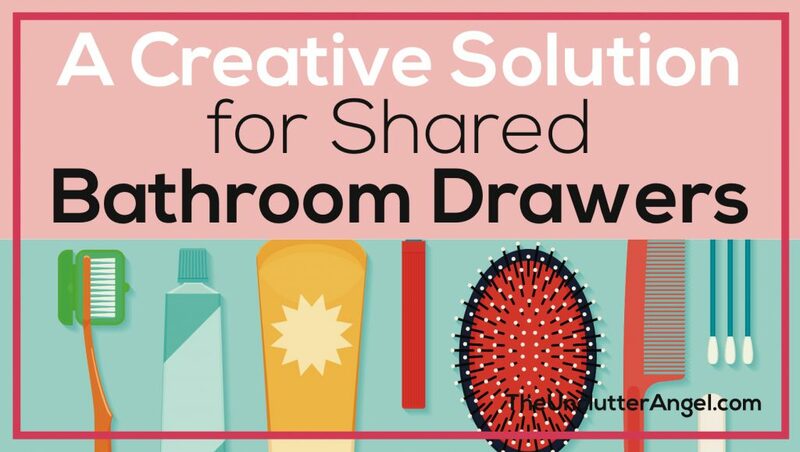 Once you toss and reorganize bathroom supplies from your drawers, your space becomes more useful. Why have drawers stuffed with supplies that you know you will never use? I find that the less I have, the more I appreciate the space and items I own. I can’t believe that I didn’t take a before photo! 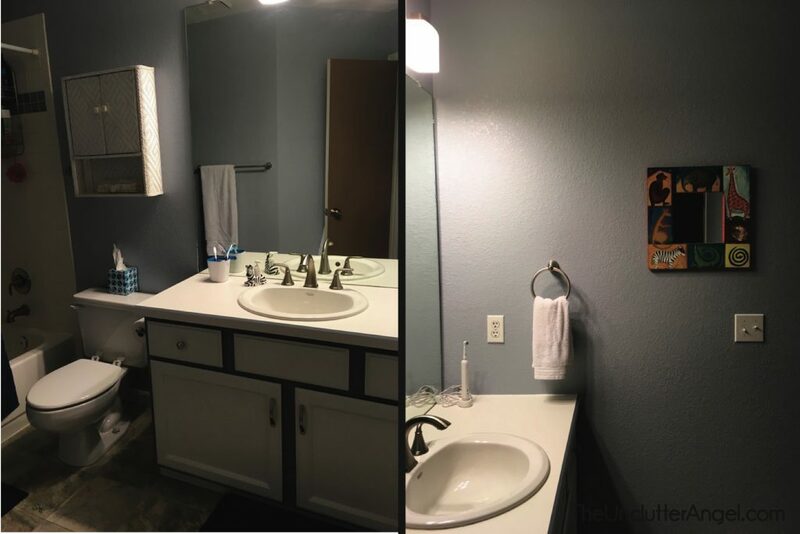 It’s ok though, I am super thrilled with the outcome and how I was able to reorganize a bathroom that is small and shared by three kids! 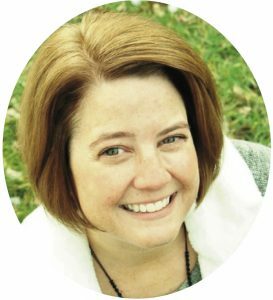 I look at each project that I either do on my own, or with the help of my kids, as an investment in their habits as an adult. I have seen how some families struggle with keeping it picked up. When there are multiple people using a bathroom, if it doesn’t have a system, it will spill over onto the floor, or all over the countertop. Maybe even both! Before you start thinking about what size organizer you need, it’s best to prepare the space and start fresh. It’s incredible what can be pulled out of a small space, especially in bathrooms. Many items may be old or duplicates and can be pitched. As nice at it is that the dentist gives goodies at each visit, dental floss can really add up! 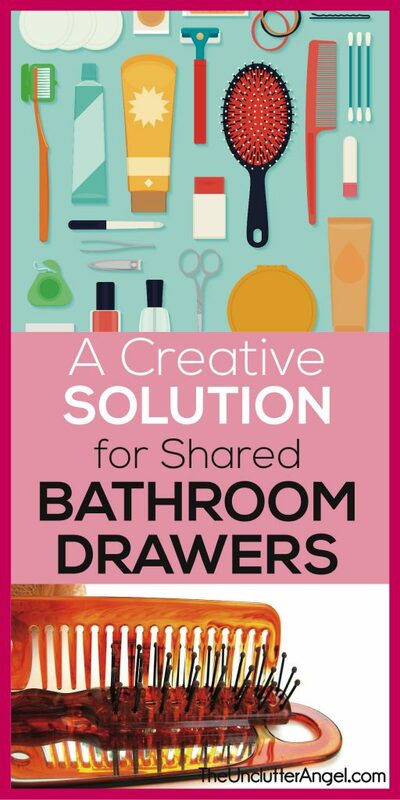 Creating extra space in the bathroom drawers will make it easier to get organized and the overall project a success! 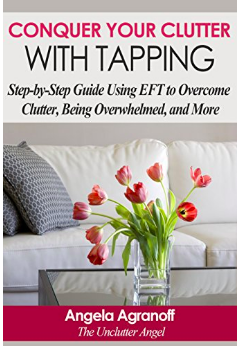 Clear it all out – Empty out drawers, throwing away items that are old, dried up, or never used. 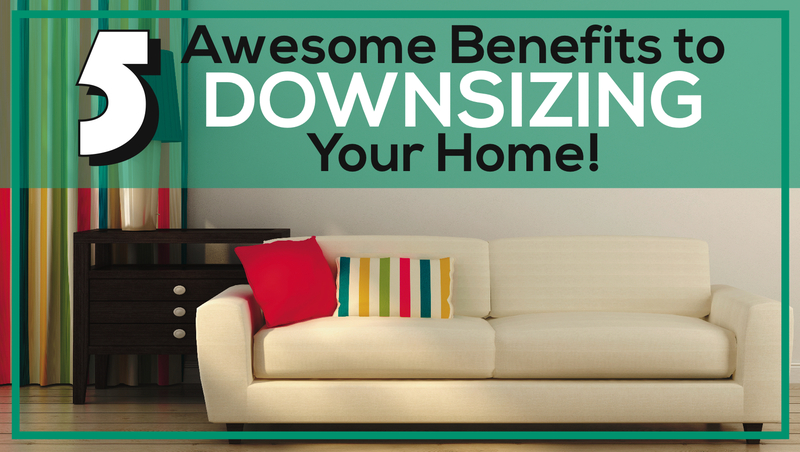 Make more space so it is easier to get organized. Even if it is an item that is only partially used, and you know you won’t use it again, pitch it!!! I totally understand that you don’t want to feel like you are wasting it. However, it’s wasting valuable space. Insert drawer liner – This is optional. I prefer it, as it looks nice and makes it easier to wipe out the drawer and keep it clean. 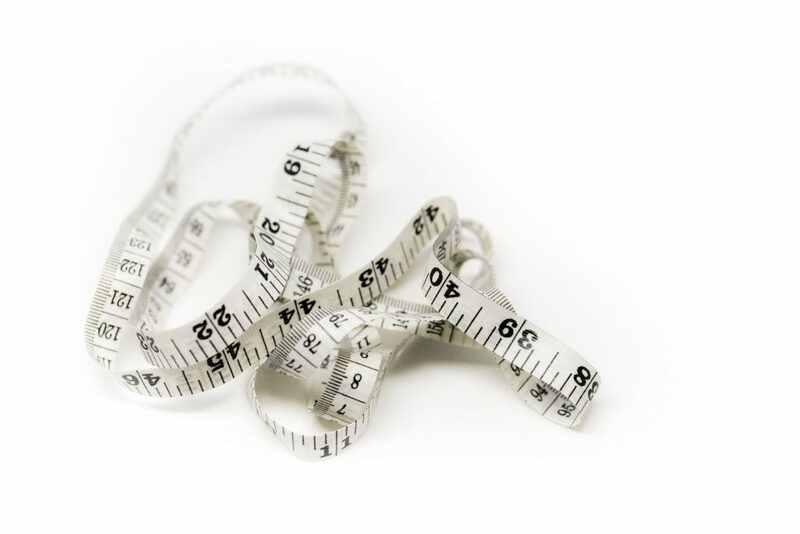 Decide what will go back – Decide which items will go in which drawers. Drawers are perfect for items that can easily lay flat, and are used regularly, like combs and toothbrushes. Other items like larger cream tubes, lotions, hair accessories can be kept in containers, medicine cabinet, or under the sink to keep organized and from leaking. 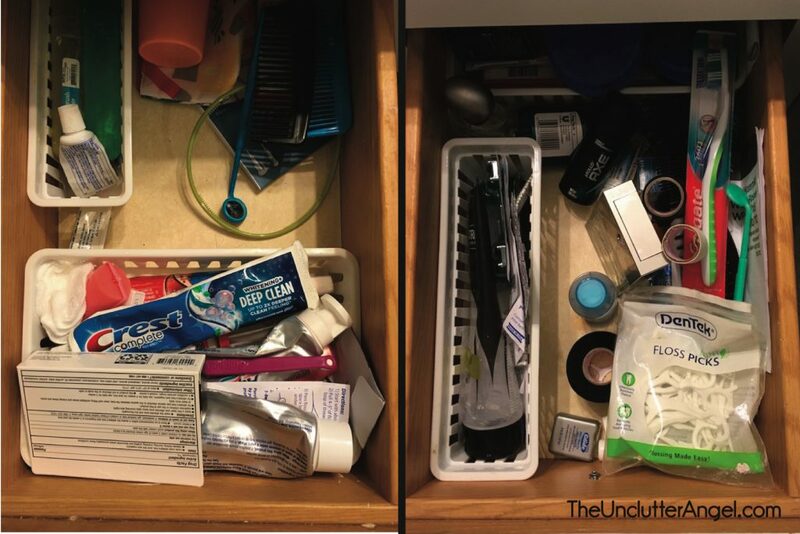 I used the space under the sink to hold some of the items that were in the drawers that didn’t need to be there or fit correctly. This will allow items to be found easier in the newly organized drawers. I tried a new and unique solution from a company that gives you the ability to create the perfect drawer insert. It’s the perfect insert because you design it yourself for your needs. 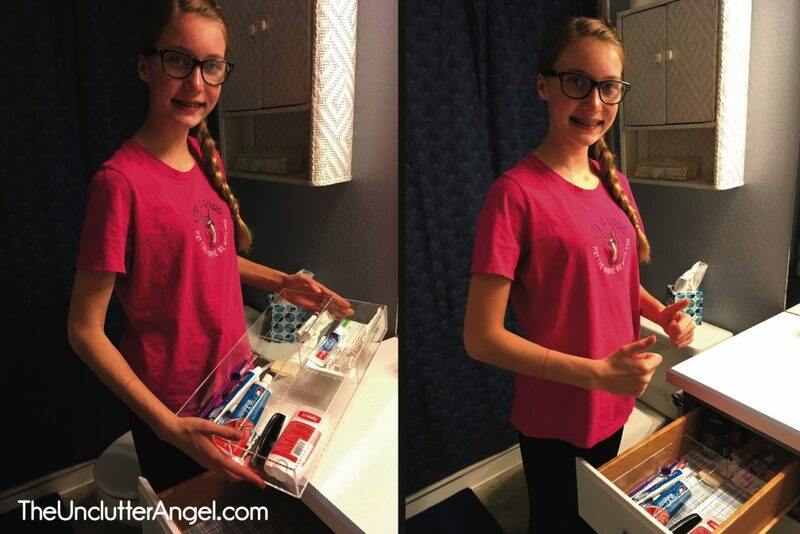 Instead of trying to piece together smaller plastic organizer inserts, you can create one piece with many smaller slots to fit your needs. The company is called ORGANIZE MY DRAWER. Their online design software allows you to play around with configurations to suit your needs. You can even have your child help design the drawer to suit their personal needs! Create account on ORGANIZE MY DRAWER website. Design drawer organizer online based on your needs and measurements. Wait excitedly for your product to arrive in the mail. 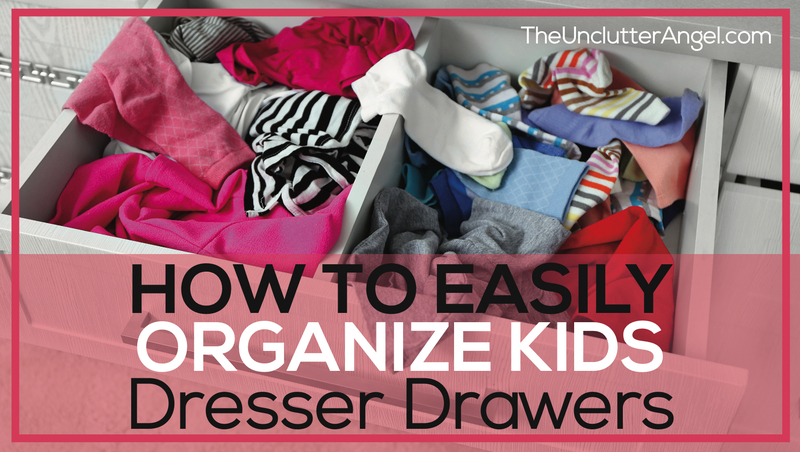 Once your drawer organizer(s) arrive, slide them in and load up! I was so excited to see if it fit, that I barely got them out of the box to test them out! The drawer inserts fit in both of the kid’s drawers perfectly! I ordered with measurements allowing enough space between the insert and the drawer for the screw of the drawer handle to have space. Making sure the drawer is inspected for the little details will help when designing your drawer. For my design project, I created two inserts that are duplicate design. The drawers in the kid’s bathroom are smaller and their needs are always changing, so I kept the design fairly simple with four compartments. They are working out great because the compartments keep items from sliding around or getting mixed up. Especially with twins, it nice to have your space! The drawer inserts are easy to wipe down and keep clean. I recommend checking out their website! 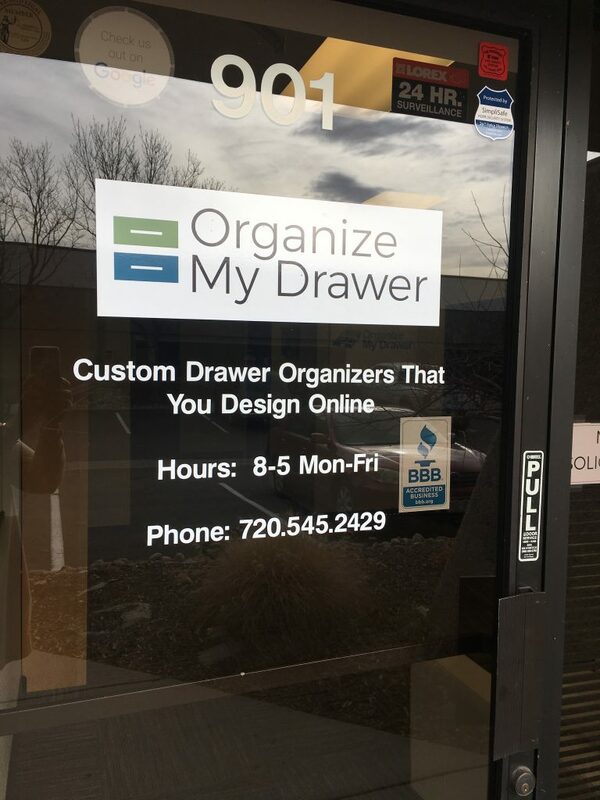 Since Organize My Drawer is located in the Denver Metro Area, I asked if I could pick up my order and peek at their operations. Based in Centennial, OMD (Organize My Drawer) operates out of a very simple and well-organized manufacturing facility. They use cutting-edge patent-pending software and have very cool laser technology to cut the parts of each custom organizer with precision. Once the pieces are cut with the laser, the pieces are sent to the assembly station. It was fun to watch their production team putting together the pieces just like a 3D puzzle – and they are fast! 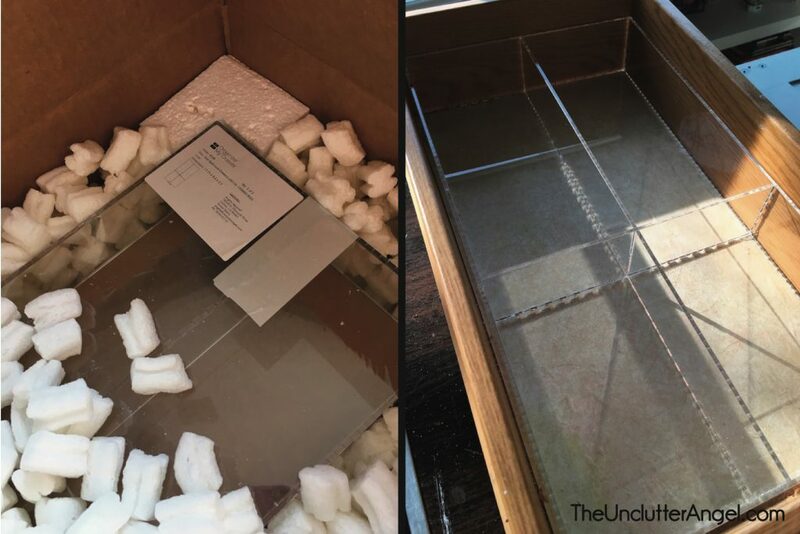 OMD even uses a custom box-making machine, so each order is packaged in just the right-size box to save on packaging materials and shipping cost. This year they added fabric liners to their offering. This was a very cool experience! My three kids are very happy with the results of their bathroom makeover. It can be the little things that make our lives easier and more appreciative! With fresh paint and decor, less stuff in their drawers and newly organized, they are in heaven! 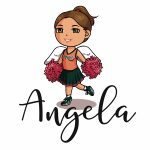 I guess that’s why I am The Unclutter Angel!